Creating Happy memories since 2006. Our name may be difficult to pronounce but the meaning of our name is clear. Villa di Felicita translates to “Mansion of Happiness” in Italian. You don’t need to travel a great distance to have a destination wedding. 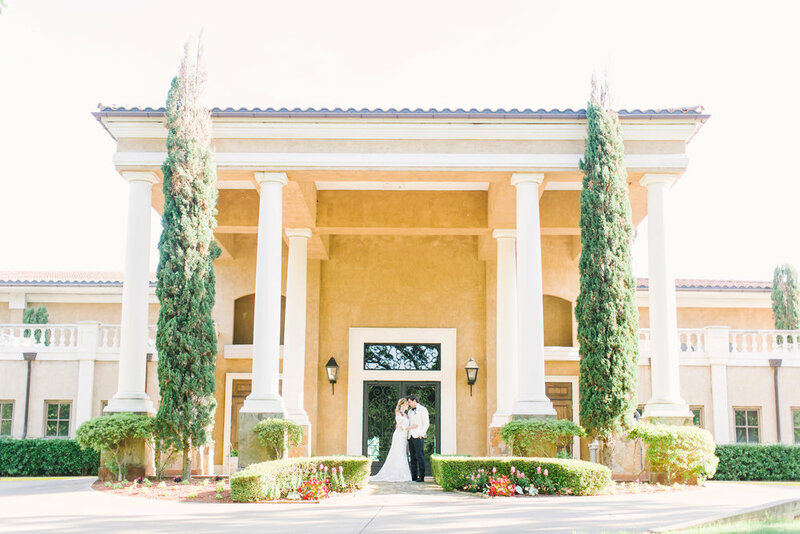 The Villa, is a one-of-kind, beautiful, Italian-inspired Wedding and Event venue. We are conveniently located in the heart of East Texas, nestled directly between Dallas and Shreveport in Tyler, Texas. Villa di Felicita offers two beautifully created ceremony locations. Although we are known for our breathtaking outdoor ceremony terrace and grounds, we also offer an elegant indoor ceremony venue, perfect for those not so perfect days outside. The Villa brings to life the rolling hills of the Tuscan countryside and the charming elegance of old-world finishes offering a versatile venue for your personal, business and social events. Surrounded by 50 private and picturesque acres, the Villa truly will bring “old world Italy” to your world. We designed our one of a kind reception ballroom to give you the feel of sitting outside under the Tuscan sky. © Copyright 2016 Villa di Felicita and VillaDiFelicita.com - All Rights Reserved.